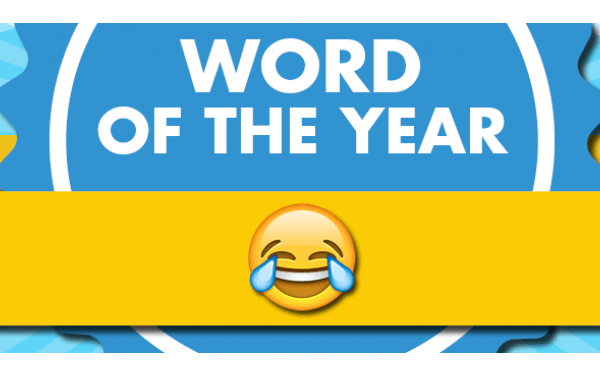 Over the past few years Oxford Dictionaries has been pursuing its version of shallow Buzzfeed-esque clickbait by choosing a Word of the Year that has little cultural value, no historical significance, and is only intended to generate headlines. Why? Because apparently Oxford Dictionaries only just now noticed that people are using emojis in online conversations (never mind that people have been using them for a couple decades, and emoticons for decades before that). The WSJ added that other words and expressions that made the shortlist for the 2015 Word of the Year: Ad blocker, Dark Web, lumbersexual, on fleek, refugee, Brexit, and sharing economy. It's a shame that refugee wasn't chosen as the WotY; it has an immediate significance for 2015 that does not need to be explained in 2015, and would make the starting point for a good history lesson when referenced ten years or more down the road. An emoji, on the other hand, gives a false impression of the shallowness of modern culture. Choosing this as the WotY suggests that people can't be bothered to use more words to express their opinions and ideas. As anyone who has followed online discussions over the past year could tell you, that is simply not true. Is this the same as OED? If they’re not going to stick up for words as words, who is? it’s the same organization, but not in any way related to the dictionary (I hope). I disagree that this is a low point for Oxford Dictionary. While emoji has been used over a decade by instant messaging/texting teens, this year is the first time that many people other than teens have started to use the emoji. The iPhone’s iOS 9.1 just added emoji a few months ago. I don’t know that I would call it controversial so much as clickbait. There’s no substance.